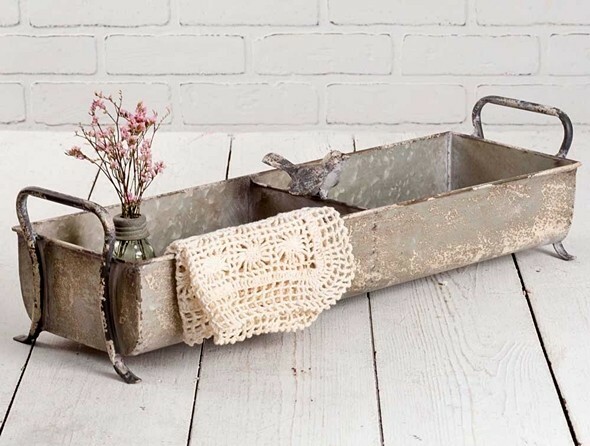 Dimensions: 5 1/4" (to top of handles) x 21" x 6 1/2"
This distressed-metal, vintage-look, divided tray features metal handles and a charming songbird accent at center, and it may be used as a serving vessel or as a planter. PLEASE NOTE: Pictured lace doily is not included. Pictured glass mason jar with "flower frog" metal lid is not included but is available separately as Product Code: CT-360293T.